On Sunday afternoon, this fellow stood on the edge of the pond as Elliot and I passed by on our walk. His mouth was opened wide, ready to take the "bait". He reminded me of a recent spiritual lesson. The bait is any personal sensitive reaction to something that causes a rise in your emotions. That's been the discipline I've been working on last month. It was the topic at A Course in Miracles meeting on-line at the Miracles Distribution Center. "Don't take the bait, and get hooked like a flailing fish, reeled in on a line. Instead, let it go, it's not worth reacting to; go within and choose peace. Sounds easy, but as we all know, sometimes we find ourselves taking the bait before we realize what happened. And although we may not react openly in the physical, unfortunately, we find that mentally we've swallowed it hook, line, and sinker as it continues to dominate our thoughts. It is good to remember that no one else can take the hook out of our mouth, so don't wait for the other person to do it, such as "I can't believe you said this to me? Are you going to take it back?" No...we swallowed it, so we alone must take the hook out. This involves choosing to see things differently. Just call on the Holy Spirit to let you have peace instead of the angst you're feeling. When asked in earnest, you'll experience the results as quickly as you can give up the need to be right. And next time...try not to take the bait in the first place. Smile inwardly, and tell yourself God loves you and He never changed His mind about you. Then let it pass... like all things eventually do. Truth needs no defense. Everything is either love or a call for love, as A Course in Miracles teaches. Enjoy your time with the Angels. They are here to comfort and protect you as you invite them into your life. P.S. Heron signifies time, longevity, focused patience, untiring concentration and secret knowledge. Heron plumes are a symbol of silence. 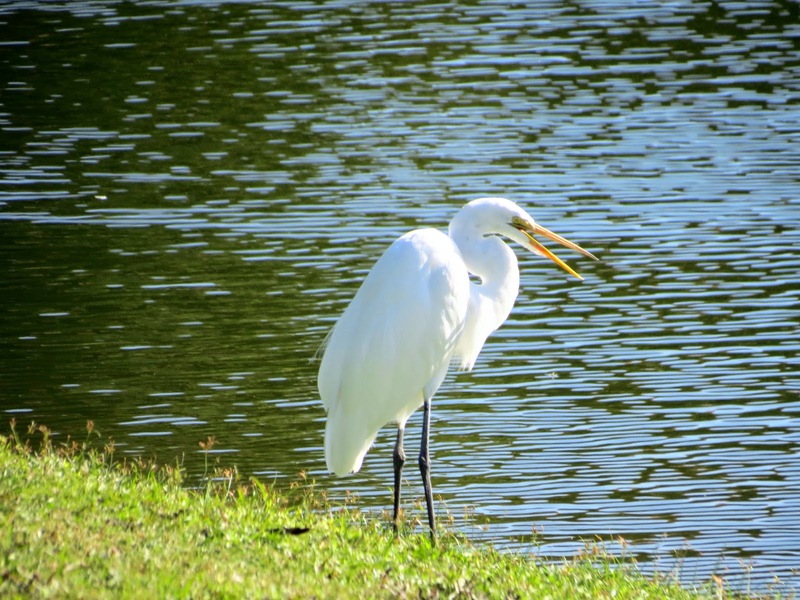 In Angel Messages, The Oracle of the Birds, Claire Nahmad writes that the raspy cry of the heron brings us the message: "There is a time for all things, and a season for every purpose under the Sun."